The name of this organization shall be “Upstate New York Chapter (hereinafter referred to as the Chapter) of the American Association of Physicists in Medicine” (hereinafter referred to as the Association). 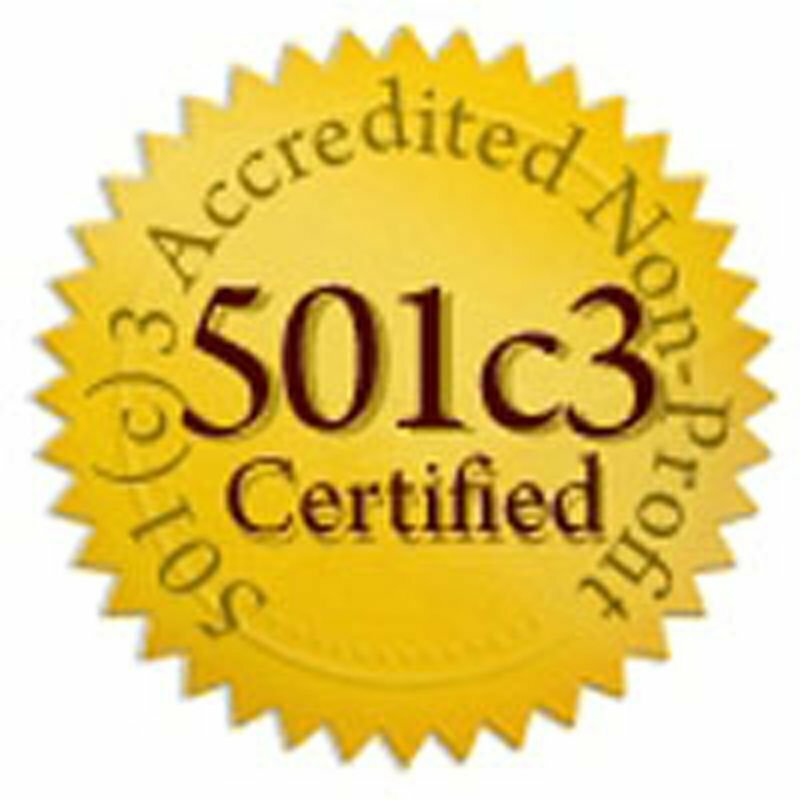 It is organized exclusively for charitable, scientific, and educational purpose as defined under Section 501(c)(3) of the Internal Revenue Code of 1964 (or the corresponding provision of any future United States Internal Revenue Law). Section 1b. No part of the net earnings of the Chapter shall be inure the benefit of, or be distributable to, its members, trustees, officers, or other private persons, except for services rendered and make payments and distributions in furtherance of the purpose set forth herein. No substantial part of the activities of the Chapter shall be the carrying on of propaganda, or otherwise attempting to influence legislation, and the Chapter shall not participate in, or intervene in (including the publishing or distribution of statements) any political campaign on behalf of any candidate for public office. Notwithstanding any other provision of these articles, the Chapter shall not carry on any activities not permitted to be carried on by (a) a corporation exempt from Federal Income Tax under Section 501(c)(3) of the Internal Revenue Code of 1954 or the corresponding provision of any future United States Internal Revenue Law, or (b) a corporation, contributions to which are deductible under Section 170 (c)(2) of the Internal Revenue Code of 1954 or any other corresponding provision of any future United States Internal Revenue Law. Section 1c. In the event of dissolution of the Chapter, the Executive Board of the Chapter shall pay or make provision for the payment of all liabilities of the Chapter. The residual assets of the organization will be turned over to one or more organizations which themselves are exempt as organizations described in Section 501(c)(3) and 170(c)(2) of the Internal Revenue Code of 1954 or corresponding sections of any prior or future Internal revenue Code, or the Federal , State or Local government for the exclusive public purpose, as the Executive Board shall determine. Section 2. The jurisdiction of this Chapter shall be confined to the State of New York, excluding Metropolitan New York City. At such time as the majority of the members residing in any area of the state may wish to form or be incorporated into a new chapter of the Association, the jurisdiction of the Upstate New York Chapter over that area shall cease. Section 2. The constitution, when signed by the duly authorized officers and members of the Chapter, and the duly authorized officers of the Association, shall admit the Chapter to the Association, and shall obligate the officers of both the Chapter and the Association in accordance with the provisions of both their constitutions. Section 3. The Board of Directors of the Association may dissolve the Chapter at its discretion. Section 4. In the event of conflict between the Constitution of the Chapter and that of the Association, the Constitution of the Association shall prevail. Note: The Association refers to the national AAPM. Members of the Association refers to members of the national AAPM. Formal application by a candidate for membership must be on a form authorized by the Executive Board of the Chapter. Acceptance shall be upon recommendation of the membership committee to the Executive Board and upon an affirmative vote by a majority of the Board. Regular members shall consist of individual Members of the Association or other individuals interested in the purpose of the Chapter. Regular members shall have the right to hold elective office to the extent allowed in Article V, the right to vote, and the right to sit on committees. Corporate affiliation shall be open to Corporations or other Organizations who are interested in promoting the activities of the Chapter. Corporate affiliates shall not have the right to hold elective office and the right to vote. Representatives of Corporate affiliates can sit on committees with the individual approval of the Executive Board. Emeritus membership may be held by individuals who are 55 years of age or older, have been a member in good standing of the Chapter for at least ten years and have retired from the practice of medical physics. Emeritus members shall have all the rights and privileges of Regular members. Emeritus membership may be granted at the request of the individual member. Junior membership may be held by individual members engaged in a graduate training program directed towards a career in medical physics or a related field. Documentation of training status shall be provided to the Secretary each year upon membership renewal. Membership shall be terminated at the request of the member or if dues payment is in arrears for two consecutive years. Membership may also be terminated upon unanimous decision of the Executive Board for conduct not in the best interests of the Chapter. Section 1. The elected officers of the Chapter shall be a President, a President-Elect, an Immediate-Past President, a Secretary Treasurer, and a Representative to the Association. Section 2. The President, President-Elect, Immediate-Past President, and Representative to the Association shall be members of the Association. Section 3. Nominations for officers shall be made by the nominating committee or at least two Members of the Chapter after consent has been obtained from the nominee, and must reach the Secretary at least six weeks before the Annual Business Meeting. The Secretary-Treasure shall prepare a Ballot Paper to be mailed to the general membership not less than four weeks before the Annual Business Meeting. The closing date for the receipt of the ballots by the Secretary-Treasurer shall be one week before the Annual Business meeting. The Secretary-Treasurer shall report the results of the election at the Annual Business Meeting. Section 4. Tenure of office shall be one year, except for the office of Chapter representative, for which it will be three years. Section 5. The Executive Board of the Chapter shall consist of the five elected officers. They shall be responsible for the affairs of the Chapterincluding selections for awards, honors, and nominations (to the Association’s Awards and Honors Committee) of Fellows. Section 6. The President shall preside at all the general meetings and the Executive Board meetings of the Chapter. The President-Elect shall assume the duties of the President upon the resignation or absence of the latter. Section 7. At the end of his/her term of office, the President-Elect shall succeed to the office of the President and the President shall succeed to the office of the Immediate-Past President. Section 8. The Secretary-Treasurer shall be responsible for the records of the Chapter affairs, financial transactions, membership records, and correspondence of the Chapter. Section 9. The Representative to the Association will represent the Chapter as a Member of the Board of Directors of the Association and, if unable to be present at the AAPM Board sessions, shall appoint a proxy representative with the approval of the Chapter President. Such appointment shall be in writing, signed by the elected Board Representative, and state who the proxy will be and for which meeting that individual will be proxy. A proxy shall be a regular or emeritus member of the Chapter. Section 10. If an office other than that of the President and the Immediate-Past President becomes vacant during the year, elections to fill the vacancy for the unexpired term will be held at the next slated meeting. Prior to this meeting, an interim appointment can be made by the Executive Board. The President shall appoint a Nominating Committee each year at least four months before the next Annual Business meeting. This committee shall make nominations for elective officers other than that of president and shall be composed of the President, who shall be Chairperson, and two appointed members who are not currently serving on the Board. With the concurrence of the Executive Board, the President shall appoint a Membership Committee which shall receive applications for membership from the Secretary-Treasurer and which, after consideration of the applicant’s qualifications, shall make recommendations to the Executive Board. A majority vote of the Executive Board is required for membership. With the concurrence of the Executive Board, the President shall appoint a Program Committee, the chairperson of which shall be the President-Elect. This committee shall arrange programs and shall recommend to the Executive Board the time and place of Chapter meetings. Section 3. The Executive Board shall establish the time and place of the regular meetings; special meetings may be held if petitioned by at least 25% of the Chapter membership. Section 4. Two elected officers and three Members shall constitute a quorum. Section 5. Except as provided, the parliamentary procedure of the Chapter shall be governed by “Roberts’ Rules of Order”. Section 6. The amount of the annual dues shall be established by the Executive Board and must be approved by a majority of the Chapter membership present at the annual business meeting. Section 7. Dues are due by the second regular meeting of the business year. Those persons whose dues are in arrears shall be disqualified from voting and holding office. The chapter shall provide documentation of continuing education (CE) for the membership. The Immediate-Past President shall be responsible for implementing the Chapter CE program. He/she shall provide a certificate of attendance for the scientific program of chapter meetings and maintain a roster of those granted said certificate. Further, he/she shall apply for Medical Physics Continuing Education Credits (MPCEC) from the Association when so directed by the Executive Board. Section 1. Amendments to the Bylaws may be proposed at any meeting with the approval of at least three members. Section 2. Amendments shall be acted upon at the next general meeting only after the Chapter membership has been notified in writing by the Secretary-Treasurer. Section 3. Amendments to the Bylaws shall require the approval of the majority of the Chapter membership.